Black D.O.G. 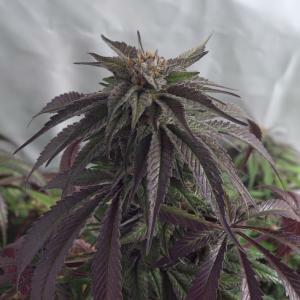 develops a beautiful marijuana plant derived from the cross of two classic northern Californian strains: Blackberry Kush and Emerald Headband. This medium-sized/big plant, oozing vigor and quality from every pore, can make the room turn into a tropical paradise. In fact, it must be noted that, during the 12/12 light cycle, the plant can stretch up to a 30%. Due to its short flowering phase, the likelihood for the plant to be affected by mold or diseases is significantly reduced. Breeders of all levels are sure to fall for its extraordinary yield. Customer reviews for Black D.O.G. Incredible strain, found a keeper that is leagues ahead of anything else I have ever grown before or since, insanely fast, dense and frosty and a mind blowing smell & flavour profile too. Absolutely amazing strain that leaves you speachless every time you open the grow room door some days measuring over an inch of growth over night and the dark pheno developing in late flower. One caution to go easy as the emerald headband headache can blow the celibral high. I popped my black D.O.G 4weeks ago for my mother plant. WOW she is big n beautiful. I'm amazed to see the leaves change colour right before my eyes n also I just had to frame one of the giant fan leaves as its the biggest I've had in years. Can't wait to run this girl. Black D.O.G. during flowering has a sintilizing aroma that seduces the sinuses a tropical paradise awaits, followed by a walk in the clouds. I love love love this strain. I love the taste. I love the smell. I love the effects of the medicine. It's very relaxing but not so much that it puts you out. did I mention that I love the taste!!! I got those free, as a bonus with my purchase, so naturally, I didn't invest any expectations. The fact that the type is predominantly indica, was good enough for me. But what a nice surprise as at result. Grown outdoors organically, the solid bud withstood well caterpillars' attempts to have a bite :-). Great high and earthy smell and flavour /best felt after curing for a couple of months/. Would grow again, thanx. Hello mate I have been buying this strain from you for about a year and have never had any problems with the seeds at all. Around 3 weeks ago I bought 20 seeds and received 24 in total. I have continued with the same method of germination as I always have but this time only 2 out the 24 have germinated. I am aware of the disclaimer but i am so disheartened as I was relying on them for a project that is planned. Can you help me out ? We are sorry to hear that. Please take a look at this link. The phenotypes that turn black/dark purple are some of my all time favorites to watch grow. Beautiful buds, great trich coverage, quick flower time, but slightly less impressive flavor and aroma than say Choc Mint OG. Very nice strain. Easy to grow. Got 1 seed as freeby, vegged for 4 weeks and then put to flower. In flowering it had a realy nice berry smell. After 2 months of curing it has a very smooth earthy kush flavour. As a beginner grower i was very happy with this strain and got buds covered in trichomes. Purchased a 5 pack and only popped mines are only youngsters at 3weeks bit wow when you rub the stalks you can smell a very sweet grape and oily smell to them i have them under 2 LEDs .. cannot wait to see the final product !! My Black dogs are being grow outdoors, in native soil amended with compost. The are been feed the fox farms line of nutrients twice weekly. The are very nitrogen tolerant and haven’t show any signs of burning with grow big at 30mls per gal of H20. For being 4.5weeks into veg they are already 36” talls & where topped. Can’t wait to see where the rest of the season goes. 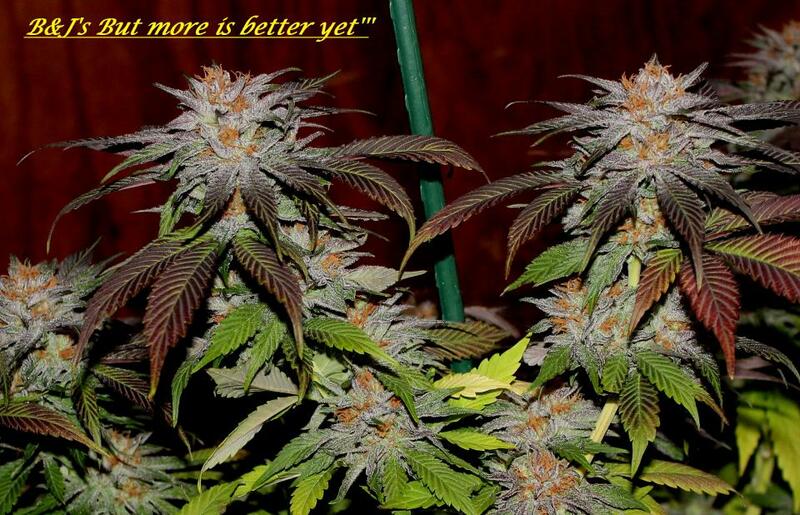 This is a great strain will glad grow again next year for the outdoor season & exciting about the fast flowering!! I was originally lookin for black dog leds when I saw this strain. I vegged for 4 weeks and was surprised at the size of the plant after 4 weeks but that was just the begining. 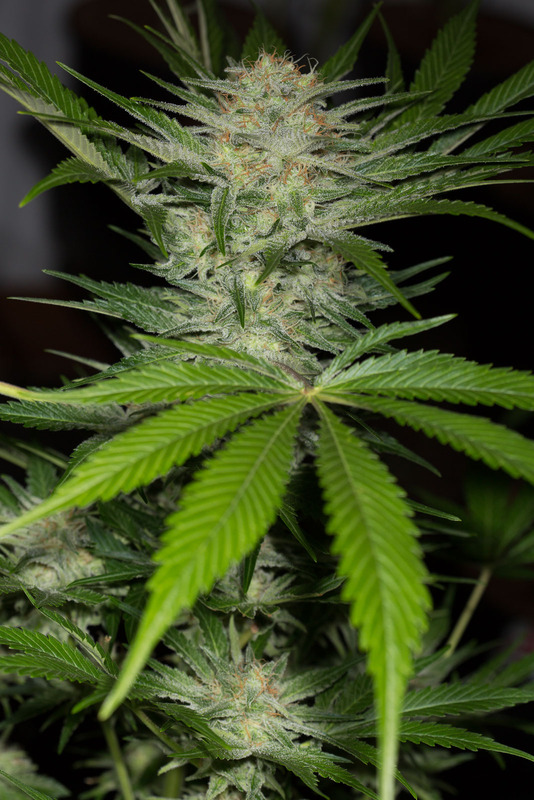 I put the plant into flower and it grew and grew and grew final height was about 57 inch and though I topped the plant a couple time there were about 25 terminal branches which developed into bud sites. The buds were fat and dense. The buds finis in about 65 days which is inline with its indica make up. I since have bought 2 ten packs because upon smoking it I found it to be smooth in taste with an earthy flavor which I loved. I have always been into the indica high but this plant takes the cake. It is the only strain I grow now and I will not consider any other strain. This one is hands down the winner in my game. Dave 420 Great Looking plant absolutely full of resin in flower at the moment day 53. I got my black d.o.g from got seed bank and all three germinated. It's only the first week but so far they're growing well. Got 3 seeds. 2 germinated. 1 grew nicely. 1 was super slow and didnt look healthy. So i pitched it. The one that i kept grew fairly slow at first. I topped it once kinda early. Vegged almost a month then flipped it with 4 well established tops.At first i thought i had some mislabled seeds as the plant looked extremely sativa dominant after i flipped it. It got stretchy. Didnt have much smell. But after about 3 weeks hints of black started creeping into the leaf tips. Almost no smell until about week 5. 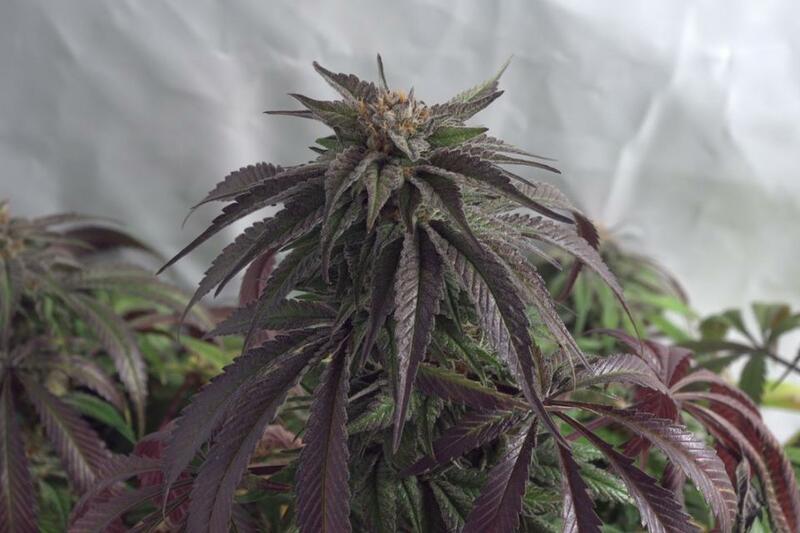 At this point about half of the plant had turned a deep purple almost black color. The flowers werent extremely big. But very frosty and knotted looking. By week 7 the growth had stopped and i focused on making sure the plant flushed out ripened well. The structure of this pheno could be almost identical to an east coast sour diesel used in death star. Leaves are spot on identical also. The smell is very sweet fruity. Somewhat creamy and grapey with hints of kerosene or lamp oil and pine.. Not quite diesel. The buzz is quite heady and a little racy and relaxing at the same time like several good grapes ive had. As the head buzz wears off so does any motivation you ever had . This strain is awesome. Beautiful black/purple leaves with bright orange and light green flowers for an amazing contrast. Great smoke too. Highly recommend this strain. Excellent genetics. One of mine turned black and was absolutely covered in trichomes. It smells fantastic after a controlled 60% humidity 7 day dry followed by 6 weeks in jars. Topped them a few times and ended up with eight gorgeous colas, 10 gallon fabric pot with promix HP. The taller pheno had to be supported with tomato rings because they were so top heavy. They really responded well to my LED lights over the CMH. Yield was slightly lower with the LEDs but the resin production was out of this world!! Left a lot of leaves on because they are the most beautiful sugar coated black nuggets you've ever seen. Incredible bag appeal. Fan favorite for sure this is the dank that stands out. Such an impressive strain! Definitely on my top 3 so far out of roughly 35 grown strains. Thanks HSO for another homerun! Really excellent genetics here. All 5 phenos justifiably keepers for their own reasons, but to me one stood out. It smells of Grape Soda and OG Kush. Close to a 50/50 mix on the smell, and the taste the Grape Soda slightly overpowers the fuel of the kush initially but soon after exhale the grape fades and you are left with og on the palate for several minutes. Delicious. 7 weeks flower it was done. Can't comment on yield as this one was a corner plant, but even then it was avg-slightly above avg yielding me 7.5oz, it was 1 of 4 plants that were under one of the 1000's in my garden. I'll be posting pics on here. Everyone who has tried is telling me it's AAAA and I think i'd have to agree. If you like grape and og you'll like this. Another great strain from the Humboldt network. Amazingly amazing. Looked like black rocks covered in snow. All 5 seeds were top notch. 3 of them were very fruity and the other 2 were dank as #*$&. Can't wait for sapphire og to finish up. You guys rock. Out of 10 seeds 9 geminated so ok ;) the fruit produced is sweet and kushy. The smell in particular of Black D.O.G. is like nothing else. Of all the plants in the greenhouse this year there is no competition for which is the most potent in smell and terpenes. I'm not a cannabis sommelier but popping the jar to roll is more satisfying than burning a bowl of mid grade. Tastes great as rosin. Earliest flowering of my greenhouse and the safer harvest that comes with that is great insurance. Altogether definitely a high value plant and one I will grow again. I ordered 3 Black D.o.g seeds and Blueberry Headband from the Attitude. So sad only the Blueberry headbands germinated. The Black D.o.g seeds looked so old and after more than 7 days I dont have more time to lose. I never had problems with germination, so this is my last time purchasing your products! I love the seeds I received from Humboldt!! 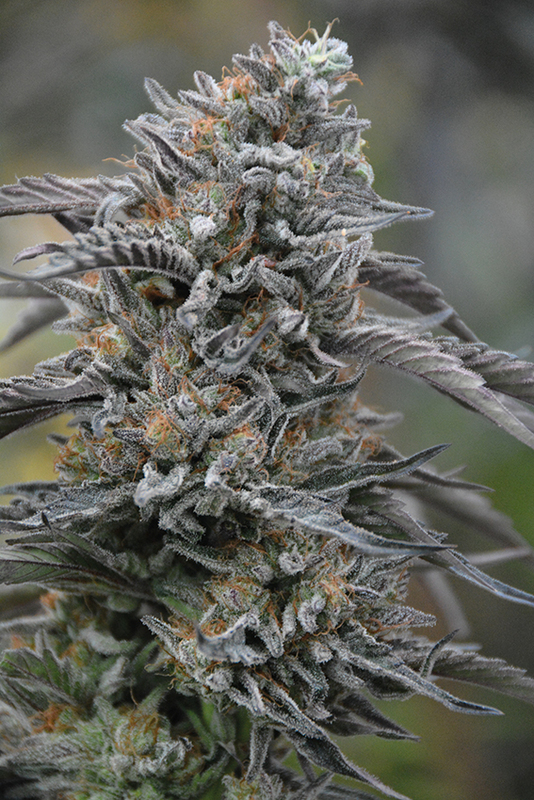 The Black Dog is crossed with Blackberry Kush which is a definite favorite around my friends. I harvest my buds just at 7 weeks like it said the buds came out great, loving the Terp profile. Amazing plant. Got it on 4th week of flo and already packed with cristals. Cant wait to see her full flowering beautiness. Will def grow it again! beautiful looking plant with a great yeild, the buds are full of colour and flavour! berries and sweet notes. Dont think i could pick between this and amherst sour diesel, they both will pt a smile on your face. Not a excellent grower but this plant does most of the work itself, just keep an eye on climate and will be sure to amaze!!! i got a 10pk of this and only popped 3 and each one germinated no prob and grew rapidly in veg, she was dark green and seemed hungrier than some of the other strains in my room as she handled 600ppm at the start of veg and nearly 1000ppm just before the flip, the onset of flower sites and stacking happened really quick and by the end of flowering i had to use yoyo,s on nearly every stem as the weight of the buds would have easily tore her apart, the resin this plant gives out is a hash makers dream and the complex fruity twang smells so good, the smoke was thick, and so fruity on the exhale but chewy and flavourfull at the same time, after a joint all i wanted to do was veg on the sofa with a sandwhich and a good dvd, 5* strain and quick to finish too, thanks again for another great strain, i grew this alongside mango sapphire, master kush and the black dog og finished before the onther 2. Hi hso team ive been only growing your top elite genetics for the past 7 years an no other company compares. 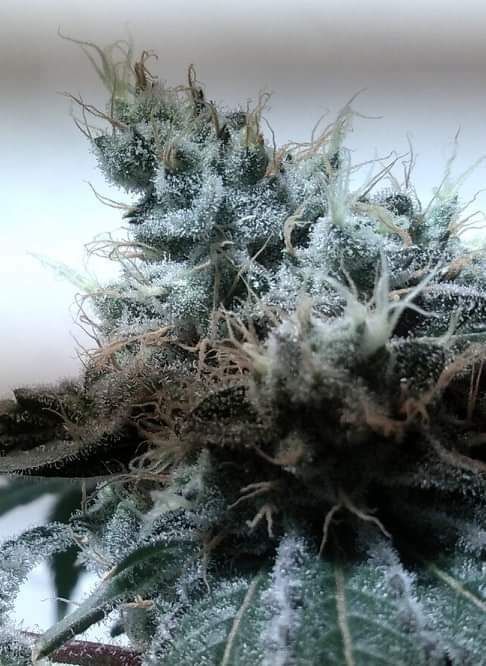 PROS- Black dog is aye strong growing beast loves oraganic feed, an smells like diesely/grapefruit, frost content out of this galaxy, this strain is a keeper . CONS- Black dog only one down fall on this strain is finding that purple/black queen but when you do its all worth it. This stuff is something else... Not only does it produce beautiful thick flowers with hues of deep purple to almost black but the aroma is insane. 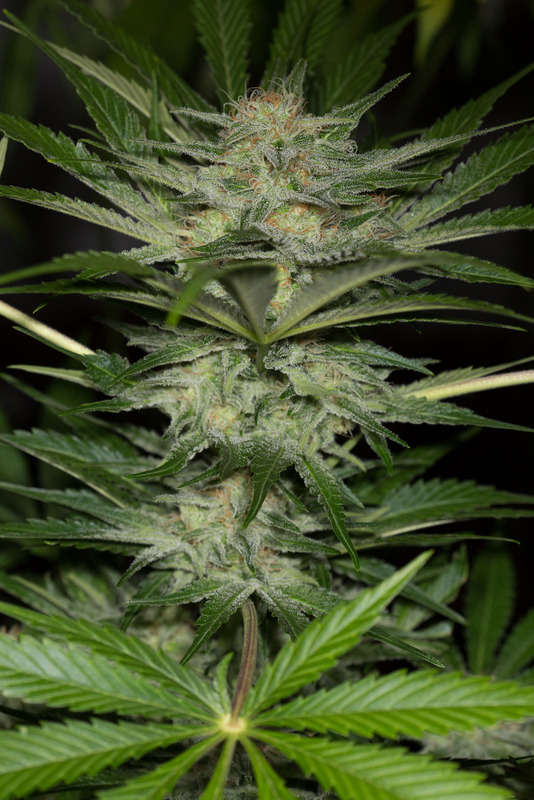 It has a smell and taste of tropical berries which gives way to pungent diesel. The effect is powerful and clear but balanced, a highly relaxing feeling and a great all rounder just as Kush should be :) I absolutely love HSO genetics, my first grow was with Trainwreck which was another beauty, I've also got 707 Truthband and Lemon Kush Headband about to be ready! Beautiful, deep purple, and loaded with resin, this strain eases you into comfort, yet lets you maintain your focus. I've been growing this strain for about a year, and it is definitely a favorite. Easy to grow, great taste and nice yields. Puts on some beautiful colors late in flower and it's a fast finisher. You won't be disappointed! I bought a bunch of individual seeds from the Humboldt range, just to see what they were like. Black dog was one of 4 strains I grew at the same time, and it was a beautiful plant. It has great structure, not many leaves to remove, and the buds are amazing to watch develop. The smells are complex, a bit like a good champagne, sort of red grape/berry-ish. Lovely stuff when you open the jar! I think everyone should grow this strain, I enjoyed it so much I bought a 5 pack for the next grow. Great work HSO team. This was one of the most beautiful fully grown plants I have ever personally seen. Grew very quick under 300 watt (145 true watts) LED, grown in soil and during the perfect time of year for where I'm located. The coloring on this one is incredible. The deepest purple I have seen, almost looks black, then all the sudden there is some blue and pink and of course green, further down, it seemed like the LED brought out the colors a lot more, I noticed the canopy was the deep, dark (black) purple, the further from the light or any leaves or buds that weren't getting the same amount of direct light. The LED also has UV and infrared, maybe that helps to attribute to the color. Grown by he sun, it would naturally get those spectrums. Incredible smell and taste to match. I was very impressed with the genetics and am looking forward to trying a few others. I highly recommend this one, I will be doing it again when the weather is right. MI Piacerebbe tantissimo,riprovare BlackDog SUPER FANTASTICA Pianta,ceppi compatti e tantissima resina . Quando ho provato la Black Dog ho avuto una giornate SUPER STONER , mi sembrava di camminare nelle nuvole . !!!! Da puara . GRAZIE mille ragazzi/e SIETE I N°1 !!!! I love the black dog unfortunately I only got 1 to pop out of ten and it took over 2 weeks :( which I was very disappointed about I've only ever had this happen to me once before and that was with some really old seeds that had been in the freezer for some time and I didn't use hormones on them to give them the kick start they needed. Everything else I got from you guys came out great I just think I got bad luck and was given a bad bunch of black dog seeds :( I would really love to try this strain again and I'm going to buy another Bach of amherst sour diesel as that strain rocks!! I am currently growing this now after buying the seeds from Product Earth in the U.K. and wow that aroma is something else! Along with the high sugar content frosting up the leaves and the buds nicely! I have around 14 days maybe a little bit more left on the two lovely females and then I will get the pleasure of tasting these gorgeous looking buds! Well done HSO! Another fantastic strain! My nr 1 favourite seedbank, the strains are great and also exotic and stable genetics. Big up HSO!! Had a little trouble with the crack of these, 2 of 3 failed. The 3rd is a beautiful distinct, subtle kush smell and bud formation, with a little sativa stretch to it. In late flower and due to a temperature drop the bud leaves are turning purple-y black and individual calyxes a bright purple. Smells sweet and spicy, not the most knockout stink but I'm sure the flavour will translate incredibly. Already reviewed Black D.O.G, however after curing & put in glass jars for almost 4 months, the Aromas & taste are absolutely superb!! Earlier there was as someone mentioned a drowsy feeling but this seems to go after a cure, most likely due to some THC degradation during the cure as always happens making it quite cerebral. When freshly dried Black D.O.G is incredibly strong & absolutely stinks when you smoke it & in a Baggie . Just bought 20 more its that good. This lovely little indica gem is just as described. Delightfully quick flowering, amazingly fast veg. state, lovely frosty purple fruity and deadly potent flowers that are fit for a cannabis cup championship. Another all star from HSO, fast flowering, amazing aroma and taste. And great yields of beautiful flowers. My new HSO fav! Salut, j'ai utilisé cette souche pour ma session outdoor 2016. C'est la première fois que je plante des graines HSO et je dois dire que j'ai pris mon pied à voir pousser cette Black DOG. Mise en semis en Avril, repiquer en pleine terre mi mai . Le départ c'est fait tranquillement jusqu'en juillet ou cette merveilleuse plante à continuer sa croissance de façon explosive. Au début de la période de floraison ( 15 août ) je pensais que son développement se calmerait, mais que ne nie, mi octobre au moment de la récolte je me suis retrouvé avec trois spécimen de plus de 3 mètres qui ont pris une couleur pourpre impressionnante des buds pleine de trichrome et de jolis petits filaments orangés. J'ai récolté sur ces trois spécimens 1750 gr de matières végétales sèches. ...... Ces plantes ont été élevé uniquement par du TCO élaboré selon les différents stades de croissance et de floraison. Quant à son effet on reconnaît son effet indica, géniale pour se relaxer après une bonne journée de travail. En somme essayez cette souche, prenez en bien soin et vous serez récompenser de tous vos efforts. 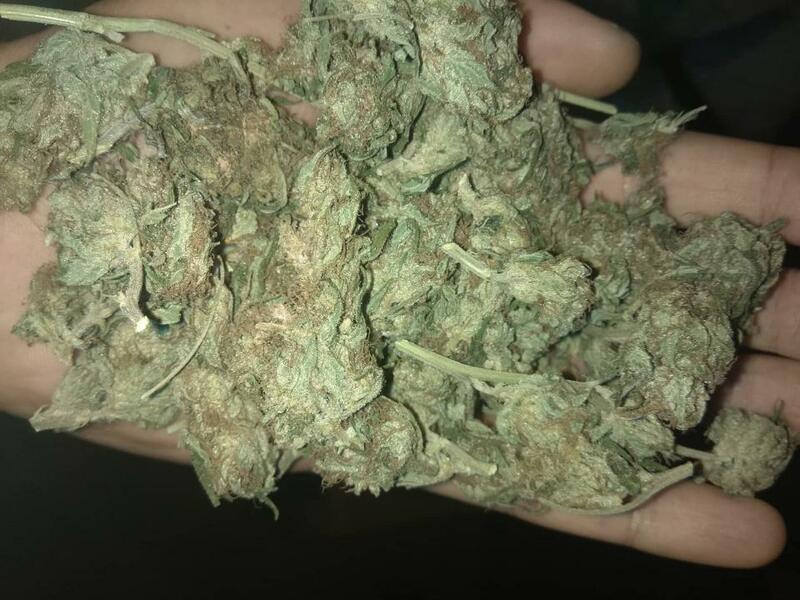 High quality strong indica. Great for pain, insomnia, and stress. Expect couch lock and drowsiness. Nice dense buds covered in crystals with highlights of purple. Must have strain in every garden for sure!! Beautiful plant I would love to run this strain. I am currently growing Black D.O.G. I originally ordered a single seed. I took a bunch of clones and flowered the mother It is a great plant. Some of the best flavor and potency! Also clones root quickly Everyone who tries it is in love with it! Fast finisher too! I am growing the Black D.o.g. and Kief Sweats Ewe2. Theyre the best 2 plants,in my garden. The Black D.O.G. with a little topping/supercropping,she has arm after arm full of huge frosty colas. Its beginning to turn red in the leaves,and it is just massive! Now the Ewe2 that is growing with the Black D.o.g.,is very short and very bushy. 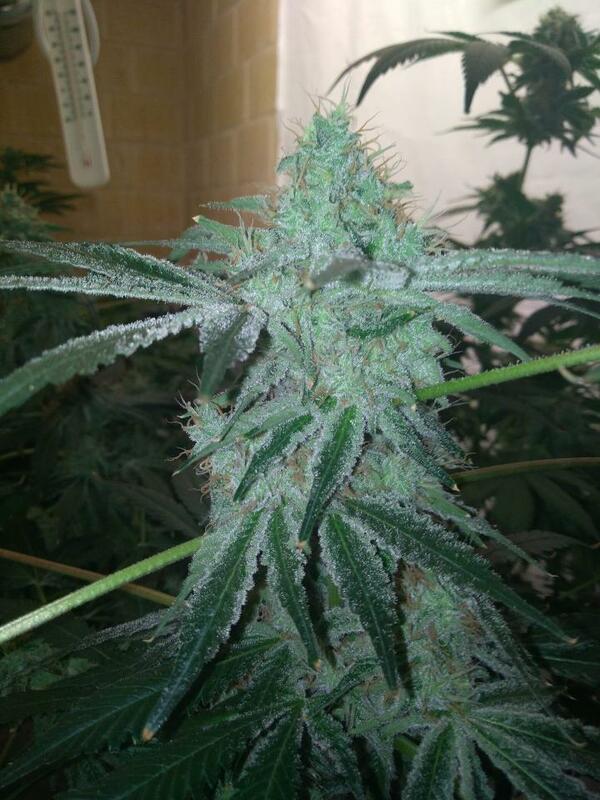 Its the only in my grow to be frosty with trichomes in only 3weeks of flowering. Thats AMAZING!!!!!!!!!!!! This is going to be a very special plant,indeed. It stinks to high hell,but it is going to be extremely narcotic bud,i can tell. I also am growing Sour Blueberry. I can honestly say,the Humboldt seed products are second to none. Theyre the highest yielders in my garden, and the smell and the potency is always on point!!! If you want to be assured that you get the most out of your seeds and grow equipment, remember, a lot of factors are in the genetics. And Humboldt seeds,are available through many seed banks. Trust me,the money is miniscule compared to the fine,finished product. Try them,you won't be sorry. Black Dog is another hardy plant from HSO. The plant stay squat and branchy like an indica and has great structure. It benefits from a topping and training. In flower she springs up and with the phenol I hunted stayed a beautiful dark green. By the end of flower she became lighter green with fan leaves eating up all their food and turning an autumn yellow. At this time was when I saw this particular phenol start purpling out on the tops of the buds. I Still have 9 more seeds to pop to look for that all purple pheno. The buds are nice and round and very beautiful looking and smell is great! Black Dog and Bio Vortex will rock your socks off with this one! The color on this is amazing !!! My garden is straight black! I love the nug formation on this strain! Deff a must have! 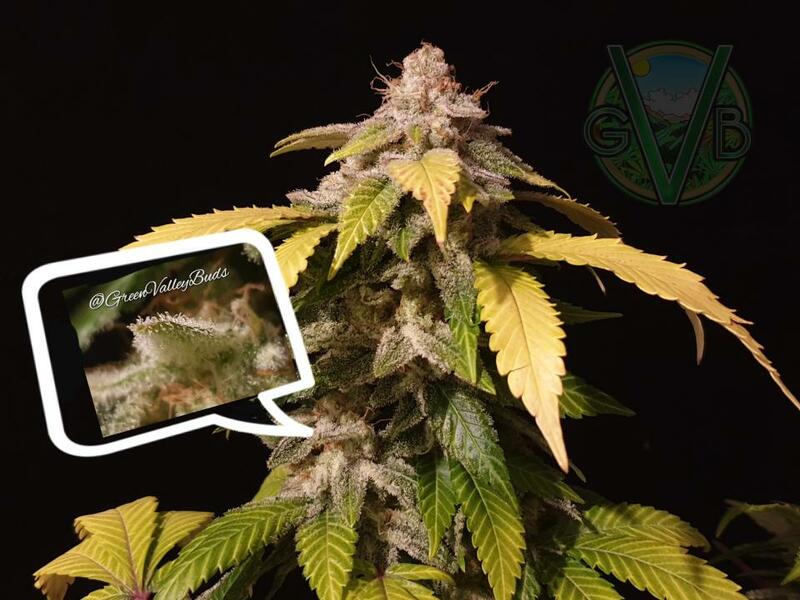 Great Strain, easy to grow, branches are full of Trichomes. Taste & smell are really nice but different to most Kush crosses, sometimes you get a feint taste of berries with a gassy/fuel taste, unusual! I cut at about 56-60 days & plants were just starting to show purple hints, a little longer or drop in temps would defiantly bring out the Purple more. A highly recommended plant, I’ve already got more Seeds for another grow, I like it that much, hard not to like !! Great work from everyone involved, I’ve yet to run a HSO strain I didn’t like. PAK next, yum ! I am growing both Black D.O.G. and Sour Blueberry. They're both beasts and I only vegged for 5 weeks. They're only a week into flour but they're bushy and smell incredible. No colors except lush green,so far but I have 4-Black D.O.G.s and 3 Sour Blueberry left. Now that I figured out how they grow,I am definitely begging for 60 days and some topping,super-cropping and L.S.T. ing. I want to see the real potential which is there if you do it right. They like to eat,just like me. And have potential to get tall and broad like me. I want to get a pound per plant. I will,just watch out for pics in High Times,lol. 5 stars,baby!!!!!!!!!!! I love Humboldt seeds but more so,the great meds that come from the seeds!!!!!!!!! Write a review for Black D.O.G.